Arrival at the Madurai airport or station, our person will meet you there. Check in to hotel and after refreshment Visit Meenakshi Temple. It's one of the largest temples of the country and almost a city. This 2000 year old temple is especially known for its Ayiramkaal Mandapam; this thousand-pillared hall is sculpted with life size and ornamented figures. All the pillars look straight, you view them from whichever corner of the hall. The corridors are decorated with musical stone pillars, producing different musical notes when tapped. 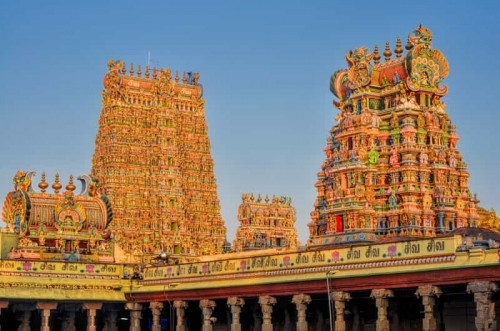 Visit the Alagar koil,Gandhi museum and a couple of temples in the city. Today after breakfast check out from madurai hotel and drive to Rameshwaram. 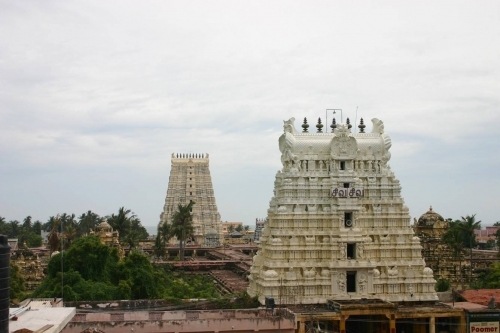 Visit Ramnatha swami temple This is one of the seven places in India where pilgrims pray for salvation, there after visit the Tirtham and then visit the Hanuman Temple. Dhanushkodi and Pamban bridge is another major attraction. The Bridge connects pamban islands to the mainland India. Evening Free leisure at Hotel and ovenigh stay. After breakfast, check out and drive to Kanyakumari the southernmost tip of Indian sub continent also a fantastic tourist spot with the specialty as three major sea joints together there(Arabian Sea, Indian Ocean and Bay of Bengal). It’s a holy place for Hindu Pilgrims too. On the way to Kanyakumari, you can visit Padmanabhapuram palace too as its the architecture wonder of Kerala with aesthetic & complicated wooden works. 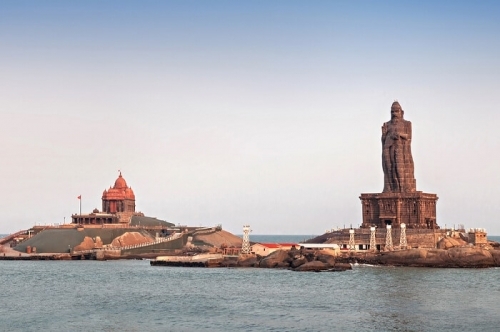 Reach Kanyakumari by noon and in the evening have a wonderful sunset from the Vivekananda rock situated in the sea. Overnight stay. Today after breakfast check out from the hotel and drop off Trivandrum Airport/Railway station.